Time is passing quickly and GeoPLASMA-CE has already reached its final year. Since the last newsletter, we harmonized our workflows and approaches to assess, model and map resources and conflicts of use linked to shallow geothermal energy. Since the beginning of this year, we are applying and evaluating our workflows in the 6 pilot areas. Currently, we focus our harmonization activities on joint concepts and minimum standards for managing shallow geothermal energy use. The GeoPLASMA-CE approach supports integrative management strategies. What exactly does this mean? We would like to create a closed management circle, which links web based information systems to the resource assessment and planning as well as monitoring of operating installations. 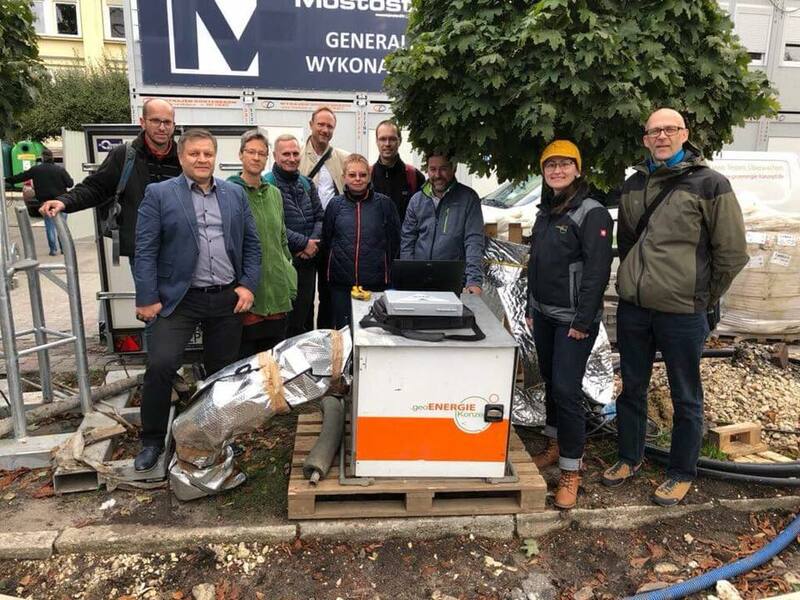 By doing so, we want to create “intrinsically learning” management procedures, which are updated by new installations and help to avoid negative mutual influences of shallow geothermal installations, especially in densely settled urban areas. However, we were not only working on harmonization. Our various field campaigns are ending soon and we started to develop recommendations / strategies / and actions how to better include shallow geothermal energy in heating and cooling energy supply concepts. As the first step, we performed SWOT analyses on the present and future role of shallow geothermal energy in our pilot areas, which present basis for our strategic work there. Last but not least, we have already put the GeoPLASMA-CE web portal to life. Our platform’s main aim is to share knowledge and interconnect people interested in the shallow geothermal energy. Have a look at portal.geoplasma-ce.eu/ and explore our knowledge platform. Our web-services will be launched soon at the same web address! Interested in our outcomes? More information on the highlights achieved can be found in this newsletter and on our website. Just follow us! We have already entered in the last year of GeoPLASMA-CE. 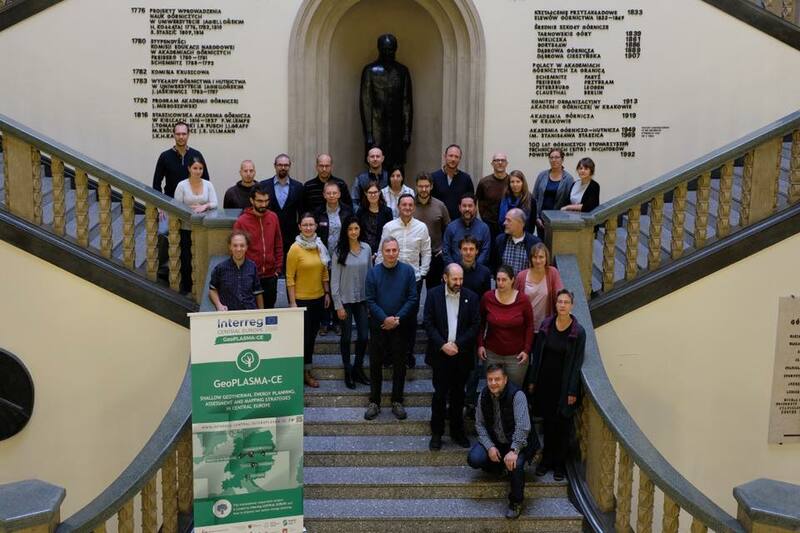 Therefore, the project team met in Krakow in the last week of September to discuss the closing phase of our project. Until the end of the project in summer 2019, we will first focus on finalizing our web portal. The launch of the full web-portal is scheduled for the Geotherm 2019 conference in Offenburg. 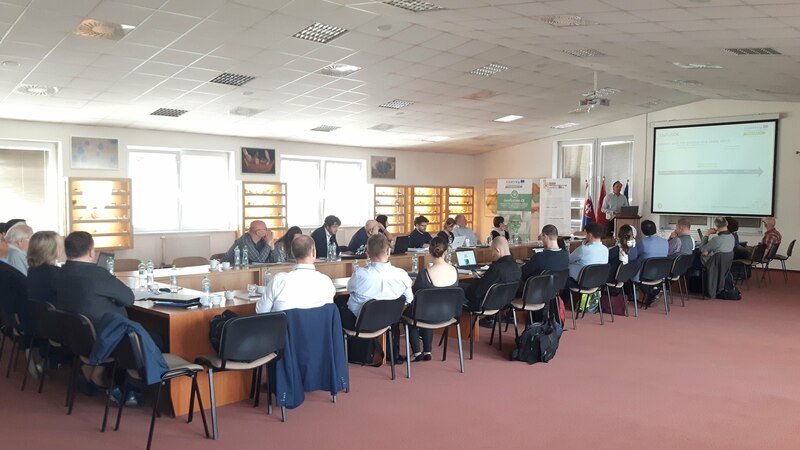 In the remaining few months afterwards, we will focus on the strategical and management related aspects concerning shallow geothermal energy in Central Europe. 1) the Final conference in Freiberg in May 2019 and 2) the EU-level event in Brussels in September 2019. As the long-term sustainability of our results is important to us, we plan to sign the project closure agreement, which will regulate the maintenance and periodic updates of GeoPLASMA-CE web-portal. 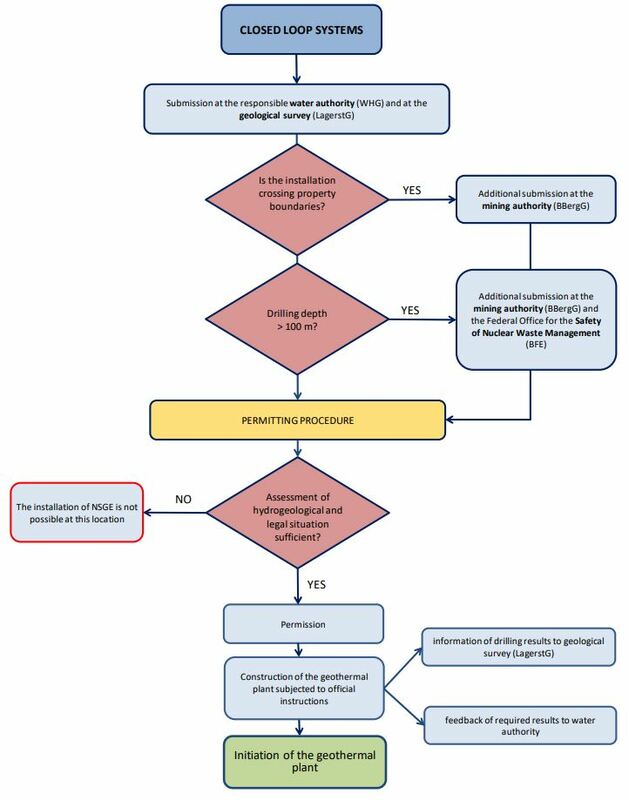 An analysis of the legal requirements, policies and technical standards applicable in the six GeoPLASMA-CE partner countries revealed significant differences between countries throughout the entire life cycle of a shallow geothermal energy installation. It emerged that local knowledge and case-by-case decisions play a decisive role during both licensing process and implementation of a shallow geothermal energy system - even when detailed guidelines are available. Measures for the reduction of administrative barriers are demanded by EU directive 2009/28/EC. Examples are the implementation of a one-stop-shop licensing process, availability of an online application system and provision of facilitated procedures for small-scale systems. However, these measures were found to be not fully implemented in most partner countries and are entirely absent in one country. The topics of technical standards and legal regulations are further explored in the upcoming deliverable DT2.4.2 Catalogue of reviewed quality standards, current policies and regulations. In the beginning of 2018, we decided to get into direct contact with stakeholders relevant for energy planning in our pilot areas. We wanted to know from them how they feel about the current and future relevance of shallow geothermal for heating and cooling. Furthermore, we wanted to identify possibilities for cooperation on the inclusion of shallow geothermal in regional policies and strategies. We chose SWOT analyses as the main communication tools. The outcomes of the interviews were analysed and summarized in a joint report. 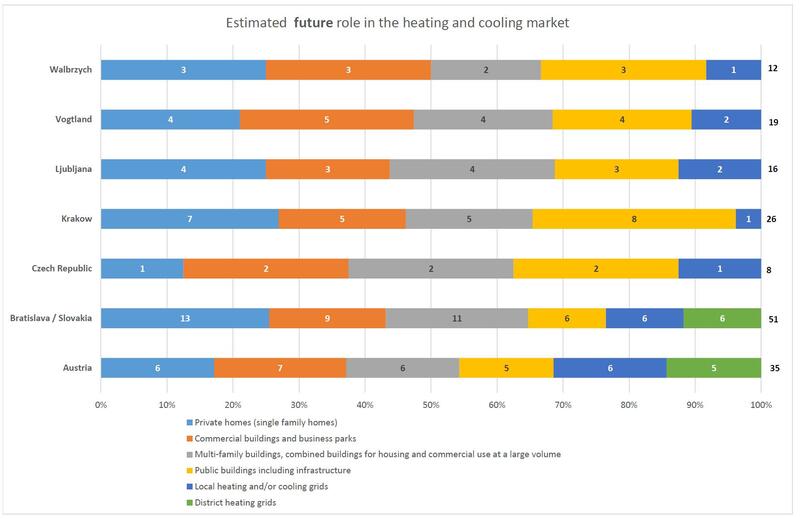 We were happy to see that most stakeholders believe that shallow geothermal energy will play an important role in future heating and cooling supply in Central Europe. In the report, you also find the identified main barriers and opportunities for using shallow geothermal. At the GeoTHERM 2018 in Offenburg, the Knowledge Platform of the GeoPLASMA-CE web-portal was officially launched and shown to interested visitors. The Knowledge Platform aims at connecting professionals from the field of shallow geothermal energy with a yellow pages application, a list of related events and a knowledge repository. 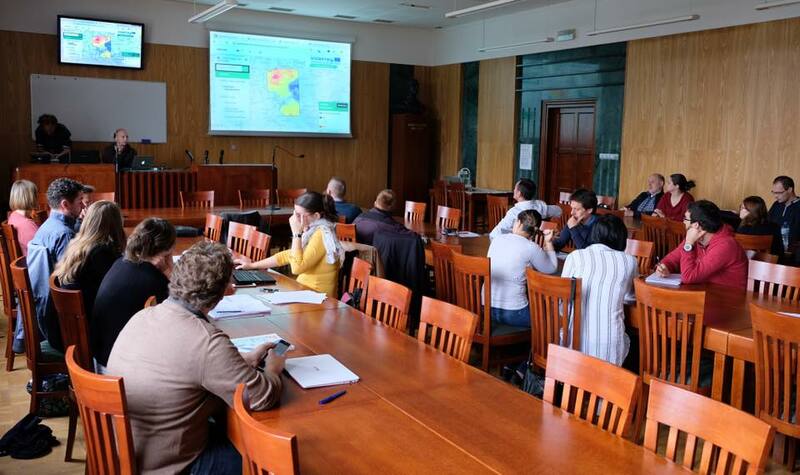 Additionally, the web based information system with a web GIS as its core was shown for the first time to the public. The system that will cover all 6 GeoPLASMA-CE pilot areas in a web GIS will join the Knowledge Platform at our joint web-portal as a first beta version this November at the German Geothermal Congress in Essen. The GeoPLASMA-CE web portal is open for public at portal.geoplasma-ce.eu/! 1. It is important to address authorities for transferring concepts how to foster the use of shallow geothermal for heating and cooling and to ensure an efficient and sustainable use of the technology. However, authorities are only executing stakeholders, so addressing political decision makers and end-users (investors) is of the same relevance. This is often forgotten in (international) research projects. 2. Strategies for including shallow geothermal energy in heating and cooling supply concepts are very important. However, the meaning of the term strategies needs to be clearly defined in the beginning of the conceptual process. Furthermore, one should differ between 1) existing present field of applications (e.g. single-family homes or commercial buildings) and 2) promising future fields (e.g. seasonal storage and low temperature heating and cooling grids). 3. Establishing a web portal is crucial, but its sustainability should be ensured, not to become one of the many “dead web portals” from past projects existing on the web. It is important to identify and convince relevant actors to undertake the maintenance of the created web infrastructure. International non-profit organizations like EuroGeoSurvey might be a suitable candidate for this. The evaluators gave us more hints on specific aspects of GeoPLASMA-CE and we will try to realize them as many as possible in the remaining lifetime of the project. 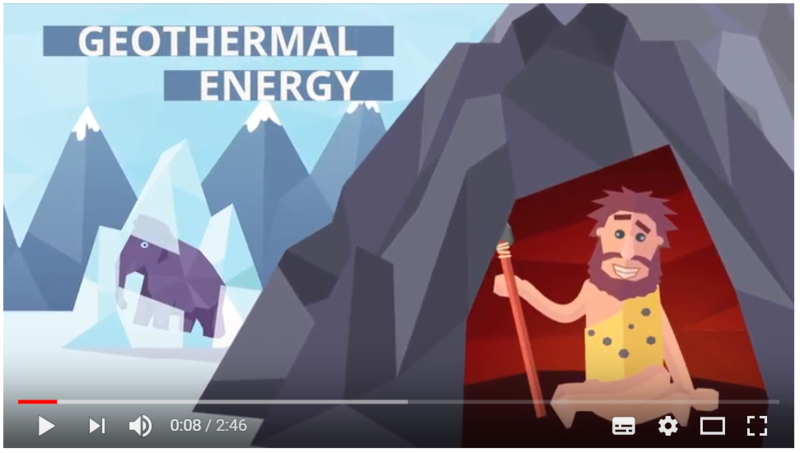 Prehistoric men most likely didn’t know the expression “geothermal energy”. But they certainly knew how to use it. Knowledge Exchange Workshop on environmental monitoring of Shallow Geothermal Energy Use will be co-organized by GeoPLASMA-CE and addresses experts from the research, business and administration sector, who are dealing with impact and operational monitoring of shallow geothermal installations. Find more information on the event at our website. Check our website for updates on events. GeoPLASMA-CE acquired your contact e-mail address from publicly available sources and during the implementation of project activities (direct stakeholder surveys, your registration to past events and through the registration form to e-newsletters on our website (www.geoplasma-ce.eu). If you received this e-mail by mistake or you do not want to receive GeoPLASMA-CE e-newsletters in the future please notify us by replying to this email with the message ‘’UNSUBSCRIBE’’. With this your e-mail address is going to be immediately deleted from the contact database for the distribution of e-newsletters.